Call your Elected Representatives to say #NoNewYouthJail! Summary: our elected representatives need to hear broad based support of the #PeoplesMoratorium from their constituents. Make calls to Dow Constantine, King County Executive, to urge him to place a hold on construction, and call city and county councilmembers to urge them to endorse the #PeoplesMoratorium. Depending on the hour you might reach a staff person, or get an answering machine. Hello, my name is [name] from [organization/congregation] and I’m calling you to demand a formal moratorium on building the youth jail at 12th and Alder in Seattle. For the past six years, individuals and organizations have been opposing this project. It is clear from recent actions protesting the construction of the jail that there is widespread ethical and fiscal opposition to this project. I am not impressed that Dow Constantine is championing this racist project at a breakneck pace, while ignoring community requests to renegotiate the purpose of the building. Dow Constantine is an elected official who is supposed to represent his constituency. He needs to stop hiding from his constituents and engage in meaningful dialogue with the communities most impacted by youth incarceration. In order for genuine negotiation to be possible, construction cannot continue. Executive Constantine must place an immediate moratorium on construction. Stop the construction now and begin real negotiations with community stakeholders to repurpose the site for basic human needs and implement an end to youth detention. District 3: Kshama Sawant is already on board! If you’re in D3 or D6, call Teresa Mosqueda and Lorena Gonzalez instead. District 6: Mike O’Brian is already on board! If you’re in D3 or D6, call Teresa Mosqueda and Lorena Gonzalez instead. Extra credit: call city-wide Councilmembers Mosqueda and Gonzalez as well, after calling your Councilmember. Hi, this is [your name], I’m a voter and constituent in [District X]. I’m calling to ask Councilmember ______ to respond to the community’s cry for No New Youth Jail!. 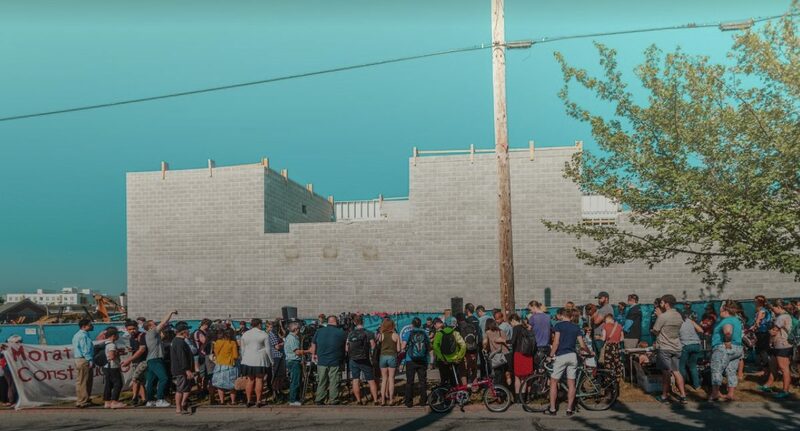 I’d like to see the Council member hold true to the City’s goal of zero youth detention by publicly endorsing the People’s Moratorium on construction of the new youth jail at 12th and Alder. This project is clearly a racist investment in the school to prison pipeline. When we have a goal of zero youth detention, why are we making this irresponsible investment in youth incarceration? The city should do what the county will not: listen to the community and repurpose the jail. Please endorse the People’s Moratorium for No New Youth Jail! Find your County Councillor (map below). You can look up your district online here. Hi, this is [your name], I’m a voter and constituent in [District X], and a member of [organization/congregation]. I’m calling to ask Councilmember ______ to respond to the community’s cry for No New Youth Jail! I’d like to see the Councilmember hold true to the County’s goal of zero youth detention by endorsing the People’s Moratorium on construction of the new youth jail at 12th and Alder in Seattle. This project is clearly a racist investment in the school to prison pipeline. When our county has a goal of zero youth detention, why are we making this enormous investment in youth incarceration? The county should listen to the community and repurpose the jail. Endorse the People’s Moratorium saying No New Youth Jail!